On Thursday (July 12) I was fortunate enough to be one of the invitees to the Hi Southern Tourism Meeting session on Tourism and Gastronomy (quite an honour, as I was, as far as I know, the only non-Spanish person present), a recognition of the growing importance of food tourism to both these sectors. The venue was in what is now the Carriage Museum (since 1999), which was built during the 16-17th centuries as a Carmelite convent, and later served as the seat of the Spanish-Cuban Institute of History. Once a landmark, it was overshadowed by the apartment blocks of Los Remedios in the 1940s. The event was hosted by local newspaper, the ABC, and introductions were made by editor Javier Rubio. The first presentation was given by Marcos Tarancón, of the Fundación Cruzcampo, showing their project to convert the old Cruzcampo factory in Nervión into a new tourist attraction for the city with cafés, restaurants and a large open garden space. The second was by Irene de Castro for Gonzalez Byass and the V Tio Pepe Festival, coming up in August at their bodega in Jerez. This was followed by two round table discussions chaired by Isabel Aguilar of GURME.es, the first featuring local restauranteurs Juanlu Dorado (Cañabota), Juan Gómez (La Azotea), and Gonzalo Jurado (Tradevo) on the challenges of operating in a city with large numbers of tourists, and the second with Benjamin Lana of Madrid Fusión and Iñigo Iribarnegaray of San Sebastián Gastronómika, two cities that have become well known for food tourism. Afterwards there was an opportunity to meet some of the participants, and other friends in the hospitality industry, over snacks and coffee. 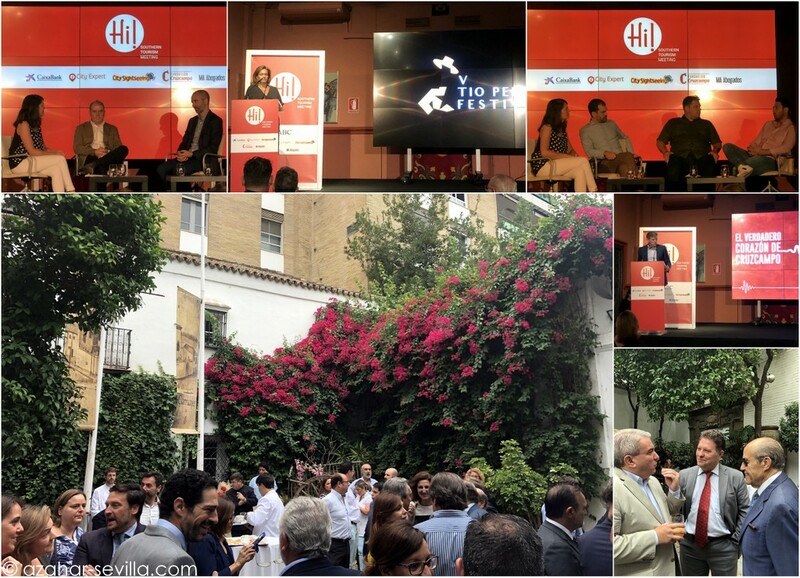 Thanks as always to ABC Sevilla and sponsors of the event (CaixaBank, City Expert, CitySightseeing, Fundación Cruzcampo, MA Abogados) for a useful and interesting morning. 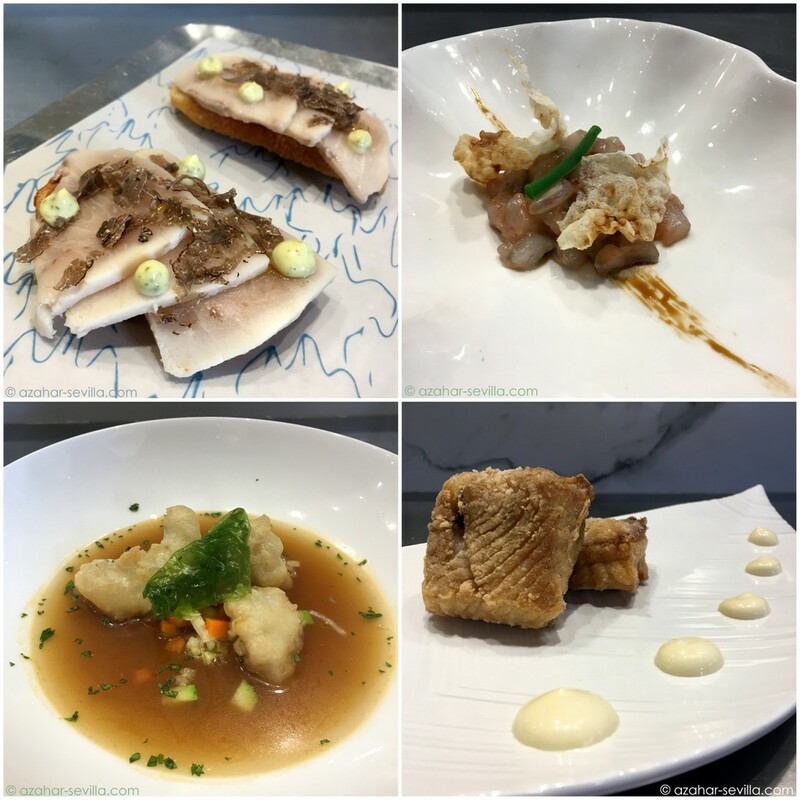 Madrid Fusión is an international gastronomy fair aimed particularly at chefs, but also at other industry professionals. As well as the main exhibition area, the highlights are the cooking demonstrations and master classes, wine tastings and competitions, and seminars on a wide range of topics from new cooking techniques to environmental issues. 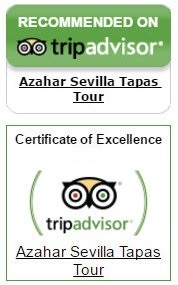 This year’s event is the 15th edition and runs from the 22nd – 24th of January, and is extra special for Sevilla because the City Council and Tourism Board is promoting the city and its tapas, including a Tapas Jam Session “show cooking” on the opening day. This fabulous video features the four bars taking part in this presentation and I am so proud to be able to say that they are not only four of my favourite bars, chefs, owners and teams, but they are also my friends. I’d love to be there to cheer them on, but I have a previous work obligation so will be there in spirit instead. The featured bars are: La Azotea (chef Santiago González) Cañabota (chef Marcos Nieto), El Gallinero de Sandra (chef & co-owner Nacho Dargallo) and Lalola Taberna (chef & owner Javier Abascal). Watch the video – it’s gorgeous. The last time Ania @ania_marchlik and I got together for lunch was far too long ago, so on the eve of her heading home to Poland for the holidays, we decided to meet up for what ended up being quite an exquisite tapeo. I checked my “to do” list of places I needed to update for Sevilla Tapas and thought it had also been too long since I’d been to Cañabota. Turned out Ania had never been there, but had always wanted to go, so I got in touch with the owner Juanlu to see if there was any way to squeeze us in and, although fully booked, he found us a “hueco” before another booking for us to have lunch. Afterwards we took a walk over to La Azotea on calle Zaragoza for dessert and (of course) a penúlitima. Somehow we always end up at one Azotea or another. And somehow “dessert” ended up including some crispy filo filled with cheese and prawns, and a plate of jamón, along with Ania’s choice, the lovely orange cream you can see up there. Anyhow, it was a great afternoon and my first “Christmas lunch” of the season. Looking forward to a few more, and also meeting up with Ania in Málaga when she is briefly back in Spain. 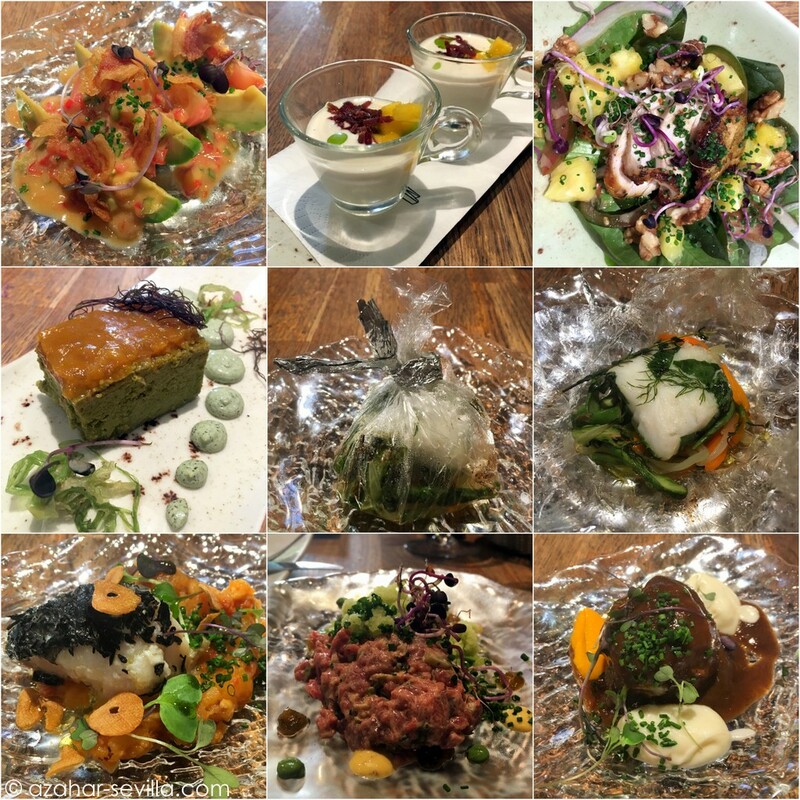 Another menu tasting invitation this week – this time at the always fabulous La Azotea (I was invited to their Santa Cruz location, aka The Office). As I had a day off on Tuesday it seemed like a good opportunity to drop by and try some of the new dishes on their updated seasonal menu. As you can see… it was all delish.